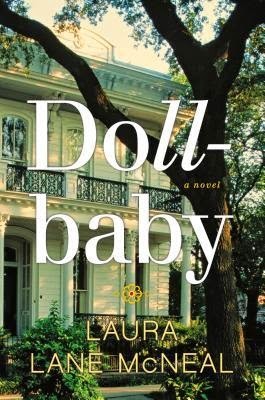 Dollbaby: A Novel by Laura Lane McNeal is will be available at Amazon, Barnes and Noble, and BooksAMillion on July 3, 2014. I adored this book and highly recommend it for anyone who's a fan of any of the authors mentioned below. This is southern-lit about a family in New Orleans, when a girl named Libby Bell is abandoned by her mother at her paternal grandmother's house in the 1960s and all the family secrets proceed to spill out of the closets. I loved this book. Loved. The story has the magic of Alice Hoffman, Sarah Addison Allen, Rebecca Wells, and Mildred Taylor, all rolled up into one. I also thought about the older movie version of Steel Magnolias while I read this book - not because of similar plot-lines or characters, but because of the way the story feels as it's being told. I think another reason this story made me think of Steel Magnolias so much is because I would love to see this book become a movie. I'm so glad I received a free advanced copy of this book from GoodReads First Reads in exchange for a review. I had allotted four days to read this book (reading a quarter of the book per day) but I was so into the story that I carried the book around with me and read whenever I found a spare minute. I finished the book in three days. I look forward to reading future works from Laura Lane McNeal.